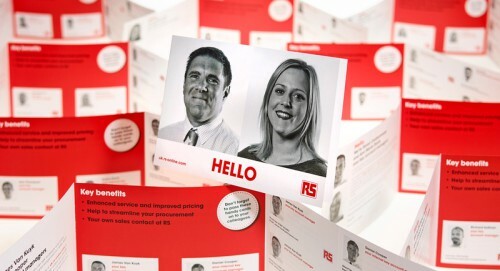 When RS Components, the global distributor for engineers, expanded and reorganised their sales team they needed to make sure that their clients were familiarised with both their dedicated key account managers and internal account managers. Creative Triangle were tasked with designing, printing and personalising a direct mail campaign which involved organising a photo shoot of all the account managers. The direct mailer needed to be simple and easy to absorb, selling the key benefits of the improved customer service and ordering process.